MPRA Guidance—What Does It Mean? MPRA Guidance—What Does It Mean? MPRA Guidance—What Does It Mean? In mid-June, the Internal Revenue Service (IRS) and Pension Benefit Guaranty Corp. (PBGC) released their first round of guidance relating to the Multiemployer Pension Reform Act (MPRA) provisions on benefit suspensions (reductions) and pension partitions. 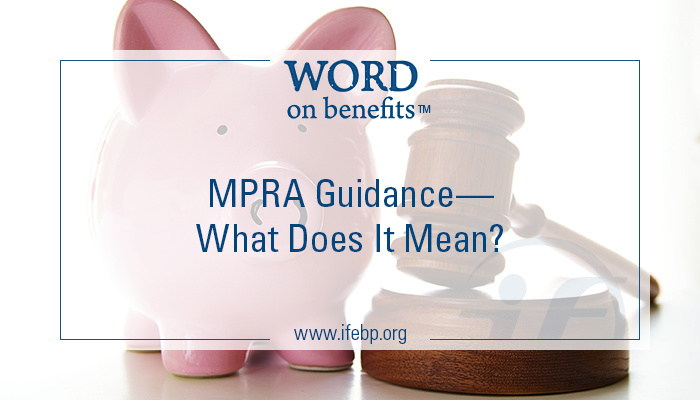 MPRA is a complex law, and the recent guidance is complex too. I welcomed explanation from Foundation experts attorney Jim Estabrook and actuary Jay Egelberg during their July 1 webcast on the topic. My takeaways from the webcast? Changes aren’t happening tomorrow. While some troubled multiemployer defined benefit (DB) pension plans in critical and declining status are looking for help and soon, the IRS’s proposed suspension regulations have no force of law behind them. We can, however, learn from them what the IRS is considering. The agency will carefully read the comments it receives through August 18 and then frame final regulations that WILL have the force of law behind them. Experts do not expect any applications for benefit suspensions to be approved before the IRS releases final regulations. And, according to Mr. Estabrook, if a multiemployer plan does apply for a suspension before final rules are released, it is very likely that the application will need to be revised or supplemented. 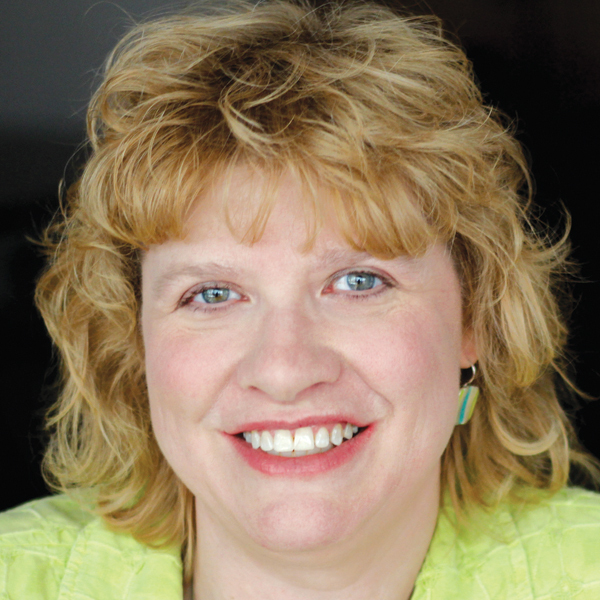 Applications for benefit suspensions won’t be made or approved lightly. A multiemployer DB plan will need a certification from an actuary showing that benefit suspensions (and a partition, if applicable) will keep the plan from becoming insolvent. Plan sponsors also have to put together their own determination that suspensions are necessary. If suspensions are granted, this determination must be made annually to keep them in place.In order to determine the amount of the proposed suspensions, a calculation needs to be done for each participant, beneficiary and qualified domestic relations order (QDRO) alternate payee. It may take several tries to find an amount large enough to prevent insolvency but not so large that any person’s monthly benefit falls below 110% of the PBGC’s monthly guaranteed benefit, a limit prescribed by the law. Also, protections are built in for those who are disabled or aged 75 and older. Suspensions must be “equitably distributed” across the plan’s participant and beneficiary population; there are rules spelling out what is allowed so no one person or group is impacted dramatically while others are not.Before suspensions will be approved, attorney Kenneth Feinberg, a mediator, will review the applications.Attorney Feinberg has administered victim compensation funds related to September 11, the Boston Marathon bombings, the Virginia Tech shooting and the BP Deepwater Horizon oil spill.All participants and beneficiaries must receive communications from the plan about proposed suspensions (and partitions, if applicable). The IRS and PBGC have developed model notices that can be used. Each person must receive his or her own individualized estimate on the impact of the benefit suspensions. All participants will be given the chance to vote on the proposed suspension. The Secretary of the Treasury will conduct a ballot. Suspensions will take effect only after a majority of the participants vote “yes” (ballots not returned will be counted as “yes” votes) and a final authorization is given. Plan partitions are closely tied to suspensions. In a plan partition, the PBGC can remove troubled liabilities from a multiemployer DB plan. Under MPRA, the PBGC is given the authority to order and finance a plan partition if a plan is in critical and declining status, has taken all reasonable measures to avoid insolvency and the PBGC expects that a partition will keep the plan solvent. “All reasonable measures” include benefit suspensions. As spelled out in its interim final rule released in June, the PBGC is strongly encouraging plans to file applications for both suspensions and partitions at the same time, if they’re interested in both. The Treasury will review and determine if suspensions and a partition combined will prevent a plan’s insolvency. Together, the IRS and PBGC will make overlapping findings to accept or reject the applications. If both suspensions and a partition are applied for at the same time, participants and beneficiaries can receive notices for both at the same time. The International Foundation will keep you updated as the agencies collect comments and release further guidance. Watch our MPRA web page, the Today’s Headlines daily member e-newsletter and this blog for more news.